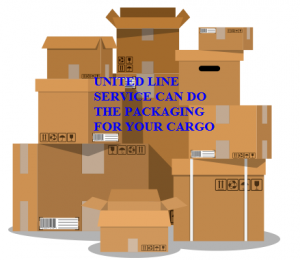 We UNITED LINE SERVICE is a freight forwarder international company , A shipping agency is a business that specializes in providing all sorts of services relating to the shipping industry. is an international forwarding company with a strong worldwide staff. In order to provide efficient and global coverage, our company represents the interests of many international freight forwarders and shipping lines. Our worldwide logistics services cover not only shipments from port to port but also the complete door to door transportation chain from origin to final destination and offering competitive and cost-efficient solutions. 3-Keep touch with shipper/person in charge or cnne and organize the date of loading or delivery. 7- Packaging for moving the hold house from any country and any address . When customers request a port to port rate, the rate would be inclusive of the ocean freight and documentation requirements rendered by our team for proper export. 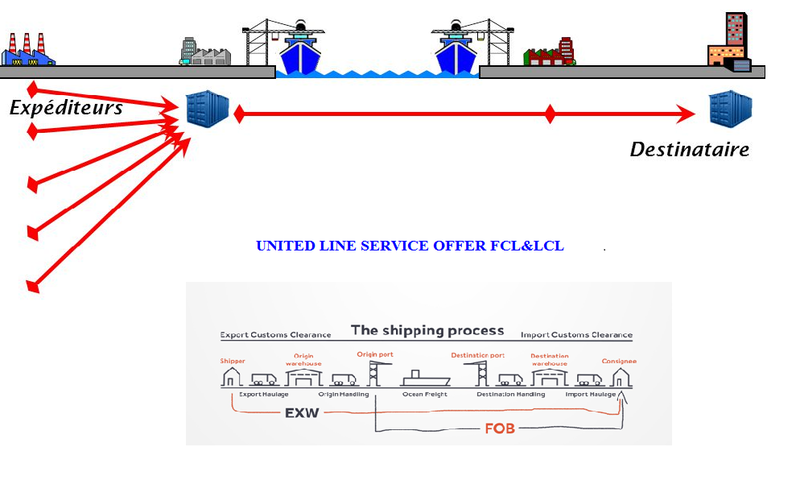 When a port to port shipment is booked, the customer will be responsible for contracting a local third party to carry out the inland transportation for their container to their required loading location. If the customer requires a door to port move, the client will need to supply us with the zip code for the loading facility, where we will then send the empty container for loading. After a shipment has been delivered from one international port to another or from port to cnne we issue for you the PROOF OF DELIVERY to be sure. Do not hesitate to contact us for any request for information or service, we care about your request. UNITED LINE SERVICE is a Morrocan company based at casablanca morocco we cover all port in morocco, Casablanca port –Jorf Lasfar –Agadir port – Tangier port –Laayoun port.